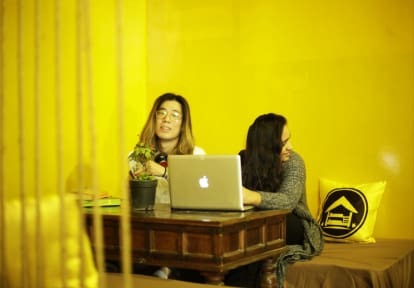 The Hosteller is a backpacker hostel that gives a person the space to relax, think and connect. We provide quality budget accommodation and believe in keeping the backpacker vibe alive all the time. Located within walking distance from Saket Metro station on the Yellow Line(the most convenient one to be on), we are close enough to most of the heritage sites in Delhi but far enough to escape most of the noise. Our favourite: The BOX, as we call our open & green terrace. A place for much needed physical activities like practising Yoga and getting yourself engaged in sports like Box football or Cricket. Good luck in beating us at football! 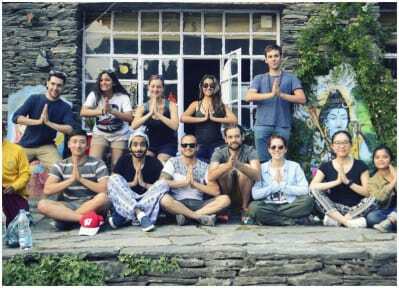 Besides being known as a backpacker hostel, we’re also known for hosting and organizing off-beat events at the hostel. Engaging people with each other is our main motive for every event and our past events like “Masterchef Hosteller”, “Pongola”(beer pong + tambola), “Bookmark: People Hurt. Books Heal.” have been successful. Great place, great location walk distance from the metro.